Photo provided by Virginia’s First Congressional District Democratic Committee. 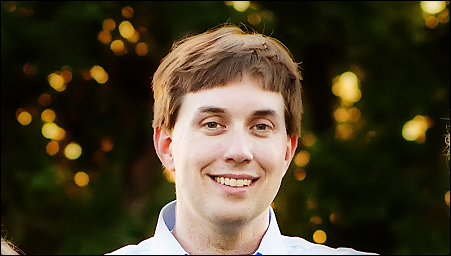 Bowling Green Town Councilman Matt Rowe is the Democratic nominee for Congress in Virginia’s First District. First Congressional District Democratic Chairman Marc Broklawski made the announcement following the 5 p.m. filing deadline on Saturday, May 7, 2016. Rowe was the only candidate to meet the filing requirements, and the Congressional nomination portion of the May 21 Democratic convention is cancelled, Broklawski said. The convention to nominate delegates and alternates to the Democratic National Convention will continue as planned. Rowe, a native Virginian, is graduate of Hampden-Sydney College. He earned a post-baccalaureate certificate in Geographic Information Systems from Virginia Commonwealth University, and works in Stafford County as a G.I.S. analyst. He is married, with three children. U.S. Representative Rob Wittman (R), who has held the first district seat since 2007, is running for Governor in 2017, along with Ed Gillespie. Other Republicans considering a run for governor include Corey Stewart, chairman of the Prince William Board of County Supervisors, and Shak Hill, who unsuccessfully ran against Gillespie for Senate in 2015. Former Virginia Attorney General Ken Cuccinelli announced in April he will not run again for Governor.